After two days of some tough core/strength training circuits, I decided to do a treadmill workout this morning. My gym limits me to thirty minutes on a machine, so I thought this would be the perfect opportunity for me to post a hard treadmill work out that burns some serious calories in a short amount of time. This workout will also help you work on speed and turnover for when you hit the pavement outdoors. Let me openly say that the last time that I did a treadmill workout was when I was traveling in public accounting. After almost five years of doing workouts on dingy treadmills in a cramped hotel room, when I left public accounting, I vowed not to spend as much time on this machine. However, the treadmill can definitely come in handy when you are limited in resources (we have even contemplated buying one for our house so we can work out when the baby is asleep). My biggest problem with the treadmill is that I often find myself setting the speed at a comfortable pace, rather than pushing myself out of my comfort zone. Note: On the fifth 800, you will almost be out of time or you may already be out of time. 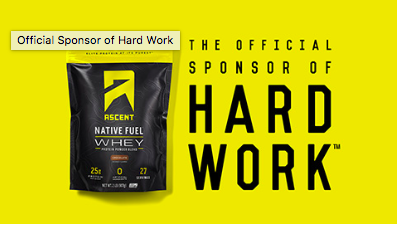 Wherever you are, make sure you push as hard as your can through the thirty minute mark. 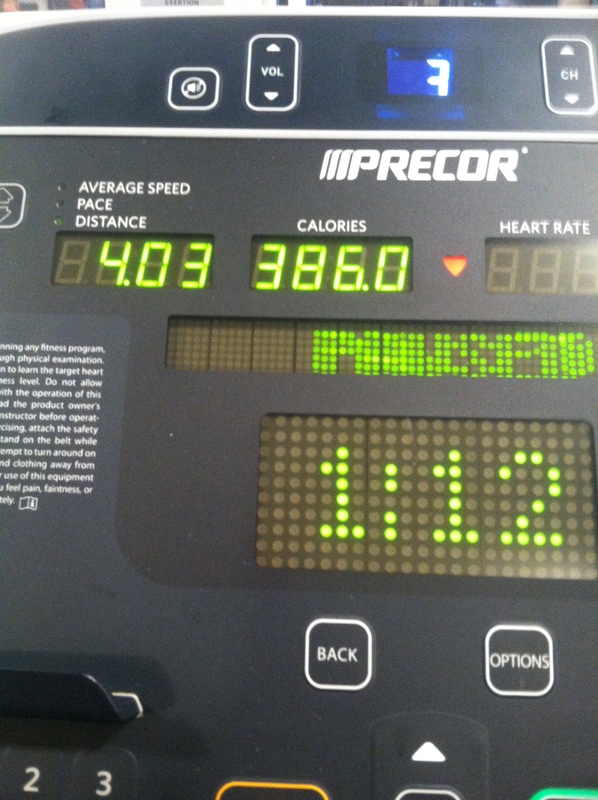 By the time that I was done, I had hit right at 4 miles for 30 minutes (7:30 min/mile pace). Seriously? 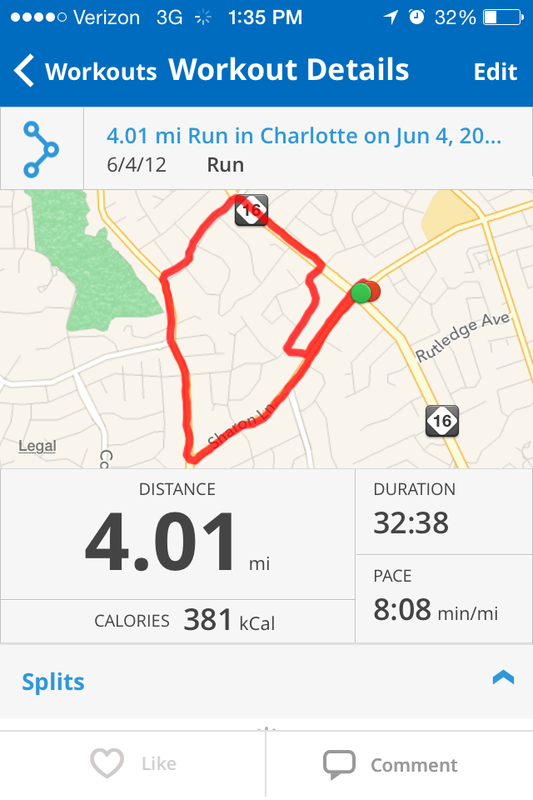 I just had a baby seven months ago, and this is the fastest that I have openly run 4 miles continuously EVER. So, what is the difference? After I had a baby, I completely revamped the type of workouts that I do. Instead of spending hours upon hours doing cardio (i.e. long runs with little to no strength/core training), I have started to sub out long cardio days with quick, powerful strength training days and substituted Flywheel into some of my running days. Thank god I utilized MapMyRun during the time that I just did cardio a majority of the time, because I can show you how much my pace has significantly changed. On a run on June 4, 2012 (note, just a month after I had completed a PR half marathon) I ran 4.01 miles in 32:38 minutes (8:08 min/mile pace). 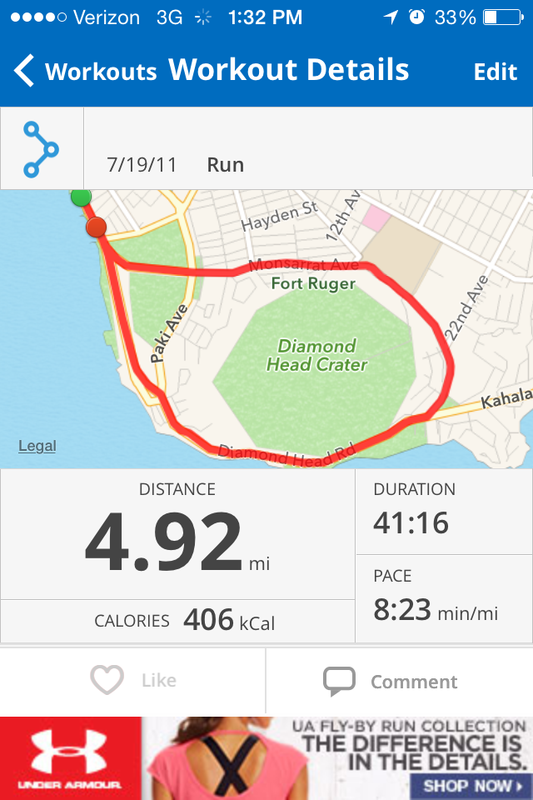 On a run on July 19, 2011, I ran 4.92 miles in 41:16 minutes (8:23 min/mile pace). I hate that it took me having a baby and losing valuable time to realize that in a shorter amount of time, I can get more of my work out if I plan correctly. Nothing feels better than seeing results. Well, except my husband complimenting my dedication. This entry was posted in intervals, running, Staying fit and tagged Childress Klein, core training, post-baby, strength trainingb, treadmill, YMCA on May 14, 2014 by flyjenduf. Reblogged this on jules roberts fitness.